Posted on November 8, 2018 | 2108 views | Topic : Awards 2018, Jewels of Johor, News & Articles, Property News. From energy efficient to environmentally sustainable buildings, commercial developments are designed to utilise a mixture of space, customer experience and conveniences. Southkey City offers the perfect balance of modern infrastructure, community interaction and aesthetics in an ideal location in Johor Bahru. A mixed integrated development, it is divided into two components, The Lakefront Shop Offices and SouthKey Mosaic. Enclosed within the 330-acre development includes residential units ranging from affordable to luxury condominiums, serviced homes and SOHOs. The commercial elements include corporate offices, commercial properties, education institutions, hotels and a Central Park for recreation. Within the massive leasehold development are various amenities which complement the lifestyle of the residents such as an infinity pool, 24-hour multi-tier security system, reflexology path, exercise deck, multi-purpose hall, parcourse and sky lounge. 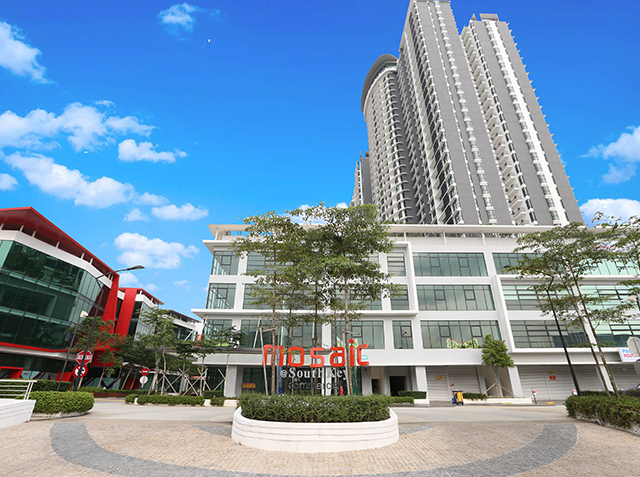 Also located within the development is Mid Valley SouthKey The Mall – touted as the largest shopping mall between Melaka, Johor and Singapore. It will be the largest commercial property in the southern region, with retail and leisure units possessing a net lettable area (NLA) of 2.5mil sq ft.
Facilities nearby include the City University College of Science and Technology, Columbia Asia hospital and more. Versis Medini is a mixed development that cleverly infuses residential and commercial spaces amidst a dynamic commercial environment. Innovative and exciting elements were added, such as chevron markings and ‘v’ – shaped details, coupled with a 70%-30% greenery to space composition in its master plan, highlight the uniqueness of this development. Versis will also be the first in Medini to introduce the vertical gardening or ‘v’ concept in the high rise portion of the development. The ‘v’- design elements, which denote dynamism, aggressiveness and movement enhance branding presence and identification. With a “Design-thinking” approach, it helps to develop the intelligent use of space, spatial configurations and in the allocation of amenities which provide a structured framework for understanding and pursuing innovation that allows for organic growth, as well as adding real value to users. It in turn guarantees repeat visitors and users which help sustain the commercial aspects of the development. 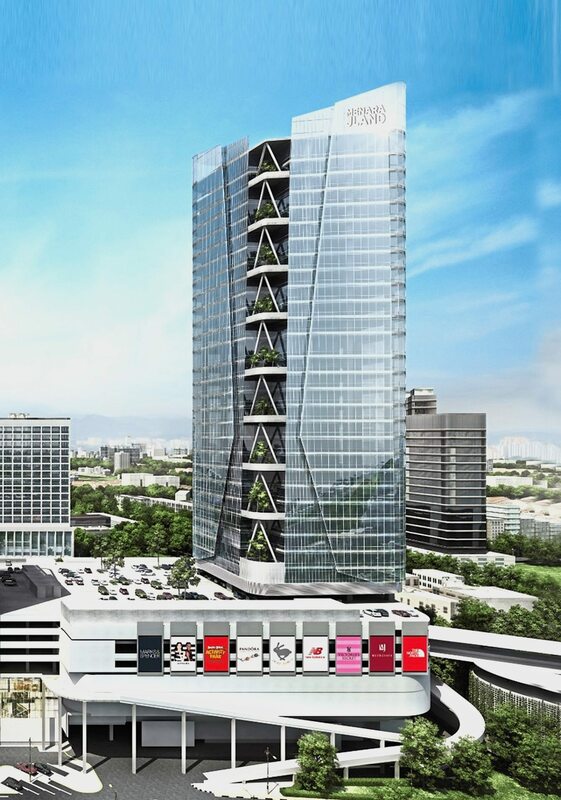 Menara JLand is the first Grade A green office building built to attain MSC standards with GBI Gold Certification. With a total leasable space of 262,596sq ft, the design of the development reflects an asymmetrical form and features contemporary techniques in its facade creation. Sustainable features include 50% daylight harvesting and electronic air filters to improve indoor air quality and prevent pollutants from being released into the surrounding streets. These GBI elements diversify Menara Jland from other developments, making it a promising benchmark for green and sustainable changes in the city. Facilities provided range from roof-top restaurants, observatory deck, sky garden and glass floor sky-walk complemented by a Visitor Management System (VMS) and comprehensive control and surveillance systems for security.